It is not easy to spot Mel Gibson in this critically-acclaimed film. He hides under a lot of makeup while portraying a psychiatrist. 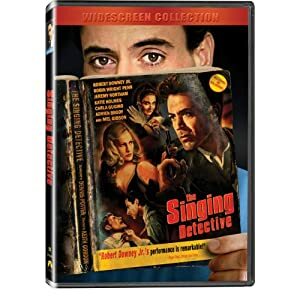 The Singing Detective is an extravagant movie full of comedy, drama, thrills, eccentricities, and musical numbers! Watch this film and get sucked into a world of spectacular weirdness. Robert Downey Jr. is astoundingly great in this film. He plays as the novelist Dan Dark. Other stars included in this film are Adrien Brody, Jeremy Northam, and Katie Holmes. This big screen version of a TV miniseries is filled with good acting and thought-provoking moments. See more Mel Gibson Movies.